The month of January in Uganda is a hot month. So when I got up this morning, the air carried a deceptive mist. A clear signal that the scorching sun would hit us all day. As I went to work I reminisced the Gulu visit. As I rode at the back of my boda boda, the cool morning mist hit my face. The feeling evoked my earlier visit to Gulu the previous week. The heat and dust that was typical of the northern Uganda region. The weather in Gulu had been no exception. Fortunately this time the "kangaroo" was in good condition. We filled up the fuel tank, checked and balanced the tyre pressure and off we went. The Kampala traffic jam at 5pm is always hell. Case in point is the Bwaise spot along the northern by pass. This is usually a 6hrs trip by road. We stopped at River Kafu for a late supper though I suspect I was served game meat. Yes it tasted differrently. At around midnight we arrived in Gulu. We checked into Bomah Hotel Gulu This is when you become glad that an earlier reservation had been made. 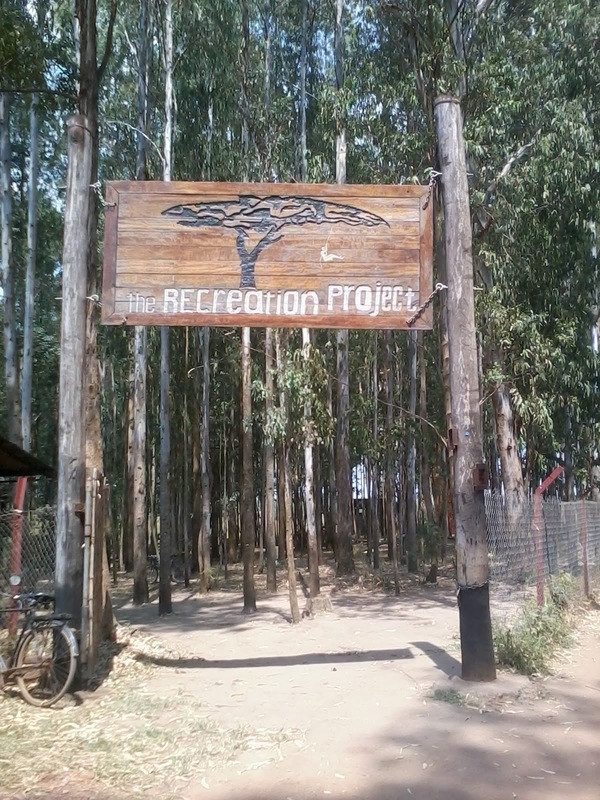 The Recreation Project in Gulu is a place that was set up to help the kids in northern Uganda overcome psychological trauma and the huge loss of childhood. 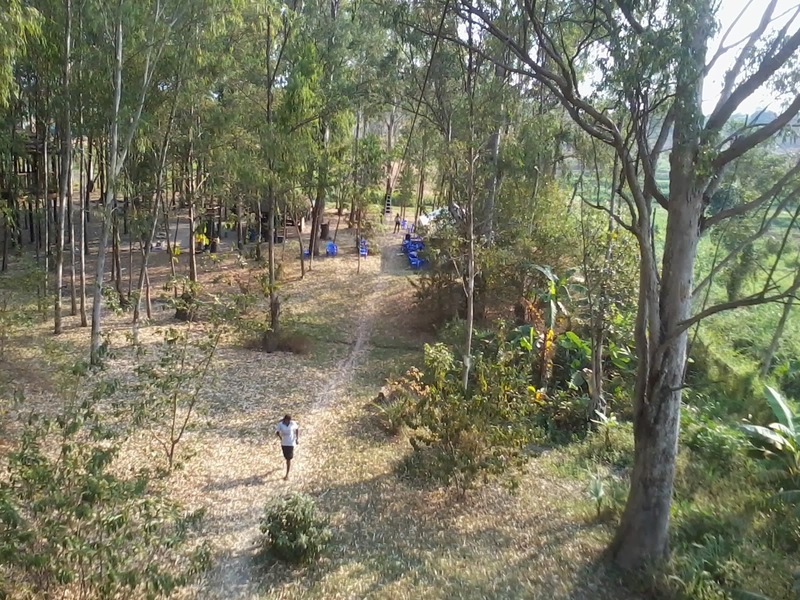 Its shadowed by a canopy of eucalyptus trees. And managed by around 6 staff members. We had been offered a package that would keep us busy the whole day. 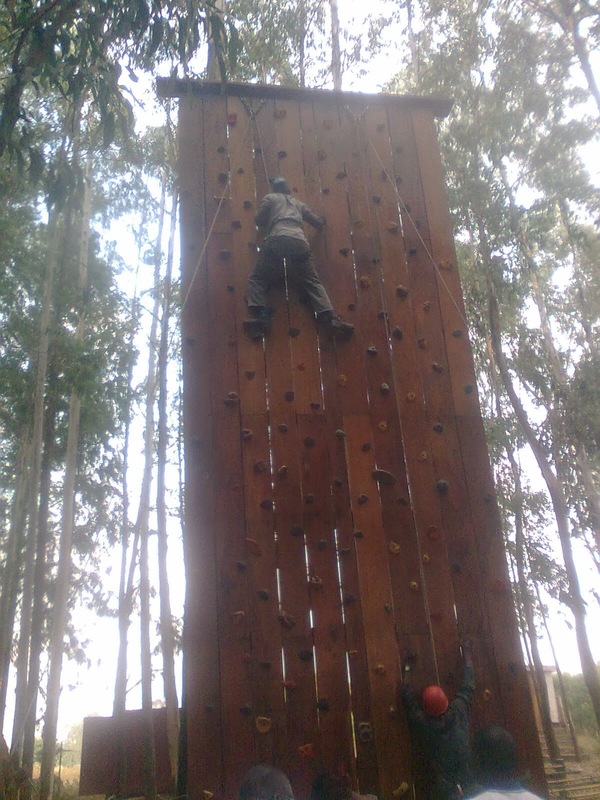 The activities included river crossing, the spiders web, Milk tea river, ostrich eggs, the zip line (my best), wall climbing and the lip of faith. 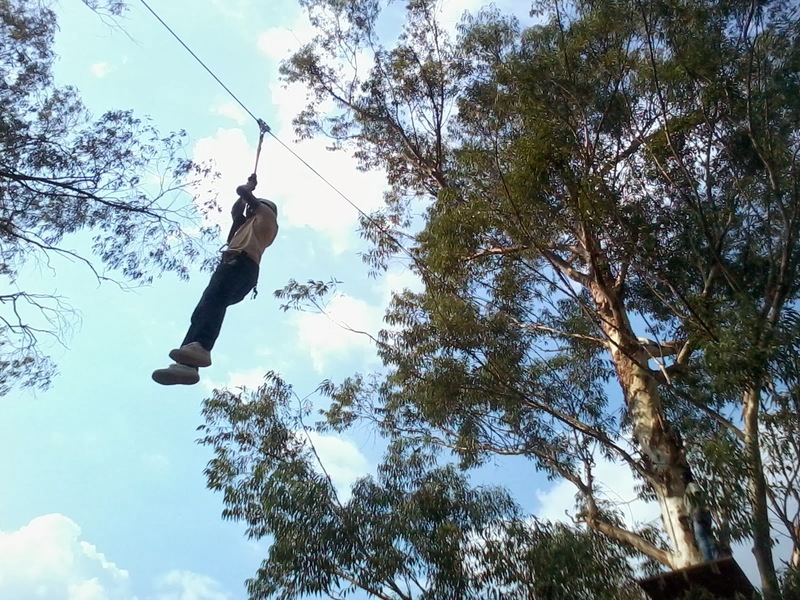 My turn at the zip line. Just managed to take this one snap before I took the lip. The whole set of games encouraged team work, planning, leadership, courage, trust and above all fun. The only snag I got was that my attire was not best suited for the later activities. At the beginning we were adamant at trying out some activities. But as the day progressed people became even more outgoing. By evening almost every body had opened up. Hope to visit one more time.